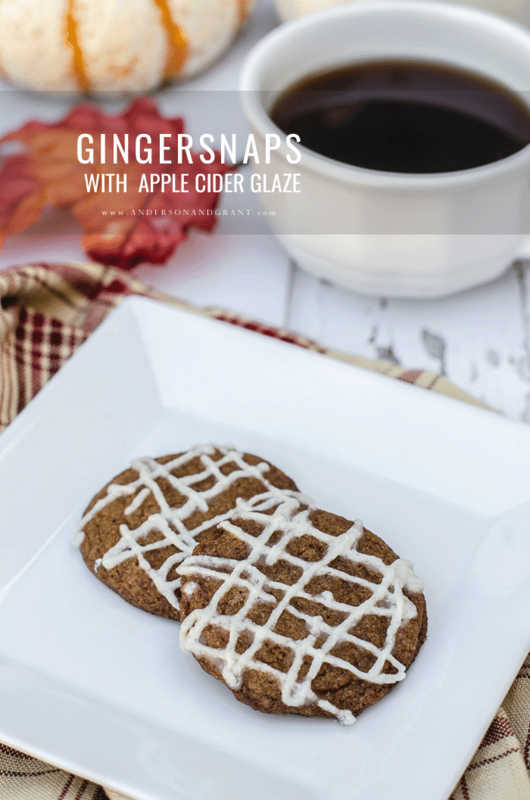 Give a traditional gingersnap cookie a fall twist by adding a drizzle of apple cider glaze. The final day of my first ever Fall Baking Week has come. Have you been following along and baking up some delicious fall treats? The links to all the recipes this week appear at the end of this post. Since I was inspired to have this week by one of my favorite blogs, Inspired By Charm, it seemed only appropriate to choose a cookie recipe that Michael has shared during his own Fall Cookie Weeks of the past. 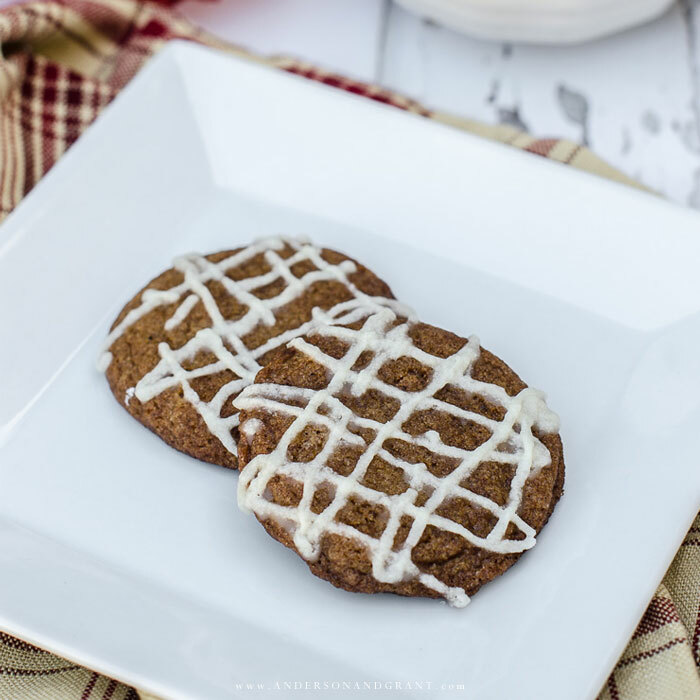 Although I've made quite a few of his recipes, I decided to try one that I haven't made in the past.....Gingersnaps with Apple Cider Glaze. 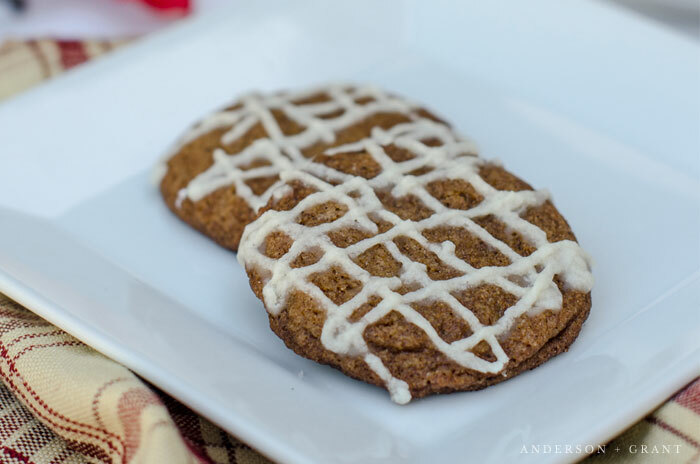 What I love about this recipe is that it makes a batch of gingersnaps that would also be delicious at Christmas. But with the addition of the apple cider glaze, they become fall-perfect. And the glaze could be used to give some fall flavor to anything you could top with a little drizzle, like waffles or a cake. As I was putting the glaze over the cookies, it dawned on me that if you aren't a baker, you could cheat a little to get this same taste. 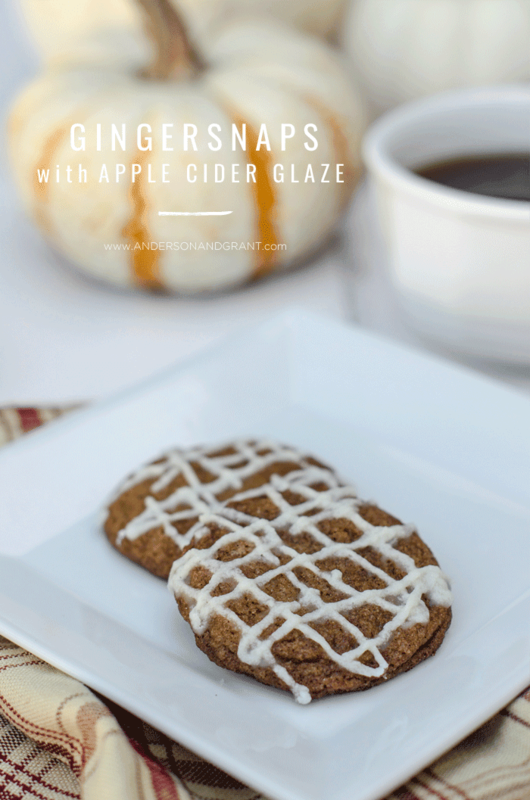 Buy gingersnaps from the store and mix up the glaze to add to them at home. Won't your guests be impressed?!?! I will admit that I had a slight problem with this recipe. But it is my own fault, and I wanted to share my error with you so that you won't do the same. 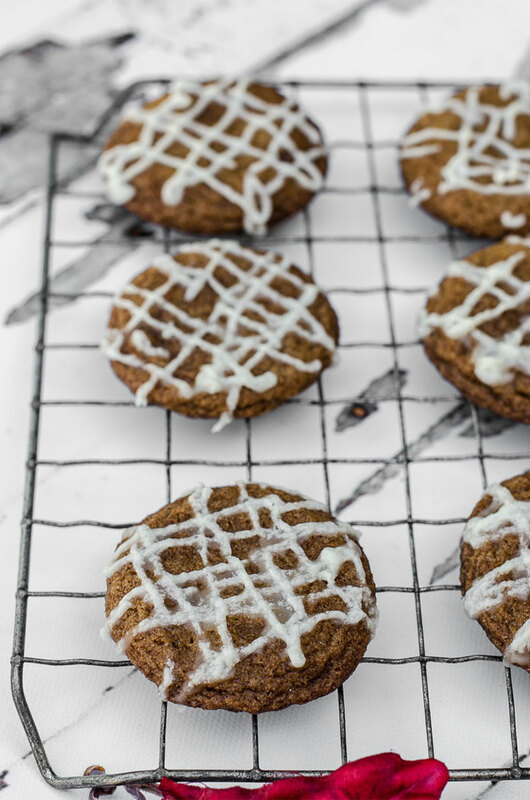 The recipe states that the cookies will develop a rounded center and develop a cracked top that is common with gingersnaps. This didn't happen with mine and I think it is because I wasn't using fresh baking soda for the recipe. Using fresh ingredients and measuring correctly is crucial to the success of your baking. Lesson learned, but the taste was still just as it should be. Now let's get mixing up our final fall baked good of the week. Sift together the flour, ginger, cinnamon, baking soda, and salt in a large bowl. Set it aside. In a separate bowl, beat the butter until creamy. Gradually beat in the sugar. When combined, add the egg and molasses. Add in 1/3 of the flour mixture and mix until the two are combined. Add the remaining flour and mix until a soft dough forms. Put the dough into the refrigerator for at least one hour. Roll the dough into 1 inch balls. (I like to use a 1-inch ice cream scoop to get evenly sized cookies.) Roll each ball of dough in the cinnamon sugar and place them 2 inches apart on a cookie sheet. Put the baking sheet with the balls of dough back into the refrigerator for another 10 minutes. Remove the baking sheet from the refrigerator and put the cookies in the oven for about 10 minutes. The cookies are done when the tops are slightly rounded and cracked. Cool them on a wire rack. To prepare your apple cider glaze, whisk together the melted butter, confectioner's sugar, and apple cider. If you need a thicker glaze, add a little more confectioner's sugar. Add the glaze to a pastry bag (or ziploc bag with the corner trimmed off) and drizzle over the cookies. Allow the glaze time to dry completely before putting the cookies into an airtight container for storage.